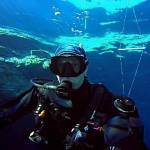 Once he and his wife, Jamie, began diving they were hooked and have continued to move their diving knowledge forward. Diving for Blayne is incredibly calming, leaving all the stresses of everyday life on the surface. Most Memorable Dive: Diving Cenotes in Mexico. They were truly like another world, diving through the mix of fresh and salt water while admiring the stalagmites and stalactites. Scuba diving has provided Scott an opportunity to combine the three passions in his life, photography, healthcare, and diving. Scott completed his divemaster certification in 2017 and has no plans to stop the dive adventure. Most Memorable Dive: Diving the tunnels in Grand Cayman, diving in and out of the great wall. Most Memorable Dive: Cabo Pulmo, Mexico. There were so many fish that it blacked out all of the light. Mark is a current college student at the University of New Mexico majoring in Criminology with a minor in Naval Science. He will be graduating in Spring of 2022. Mark is a commercial sUAS pilot and uses his drone for volunteer Search and Rescue. Mark loves long walks on the beach and then walking into the water, disappearing into the foam to start a good dive. 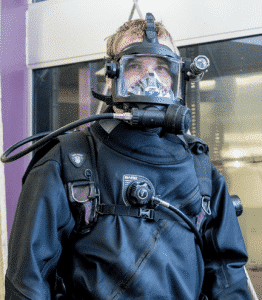 Starting when he was just 15 years old, Mark became one of The Scuba Company’s youngest divemasters and plans to continue his professional education to become a Technical Diver. 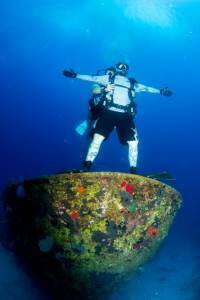 Most Memorable Dive: “The Odyssey” Shipwreck in Roatan, Honduras. There were so many garden eels that the ground looked like it was covered seagrass. 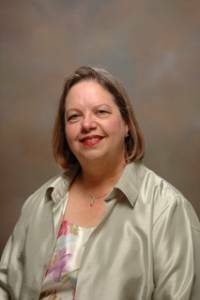 Jo began her dive career in 1999. She has been a PADI Dive Master since 2004 at The Scuba Company. Jo especially enjoys working with kids – of all ages! She is passionate about helping folks discover new diving experiences, both in New Mexico and in tropical paradises. Sharing her love for water is not the only love she has, she has recently also received her pilot’s license. Sami was born in Seattle Washington but grew In Santa Fe, NM. Growing up in Stan Fe he used to be a volunteer Firefighter/EMT while still attending High school as he enjoyed helping people in need. 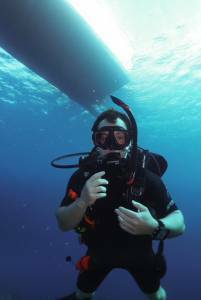 After graduating from UNM in 2011 with a degree in Criminology he decided to join the Coast Guard after serving his country he moved back to NM where he fell in love with scuba diving so much so that he trained until he became a Divemaster with The Scuba Company where he enjoys teaching the new generation of scuba divers to learn to dive and enjoy the sport. Born and raised in Southern California till 18 when I joined the Army. Moved around for the next 23 years ending up in Albuquerque NM. 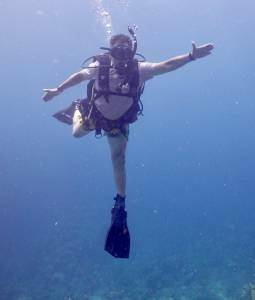 While getting ready to retire from the military in 2017 I wanted to learn how to dive so I could go Scuba diving on my retirement vacation to Cabo San Lucas Mexico so my wife and I did some research and were certified through Scuba Company. From there, things took a quick pace and I progressed to being a Divemaster in just over a year and logging my 100th dive just 16 months after becoming certified. Additionally I became certified to be a Handicapped Scuba Association Divemaster. Most Memorable Dive: Probably my first dive in the ocean in Mexico. Got to see the real underwater world and sea life up close for the first time. 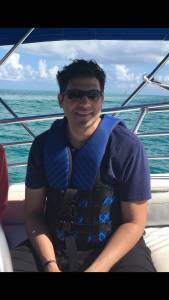 I grew up in New Jersey and lived in several other states as a result of company relocations. Ultimately settled in New Mexico in January 2000 where I now own an insurance agency. 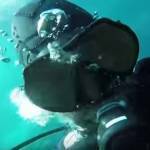 My interest in diving began when my oldest son enlisted in the Navy and is currently an EOD Navy diver. I committed to becoming certified which I did in 2017 and he and I had a great diving trip to the Florida Keys in early 2018. My interest in diving has continued as I received my certification as a Rescue Diver, Handicapped Scuba Association Divemaster and Dive Master.